[…] Admittedly, I’ve never been totally comfortable with the report of the Intergovernmental Panel on Climate Change, especially with all the controversy around the statistical methods used by Michael Mann to come to the conclusions that he did. 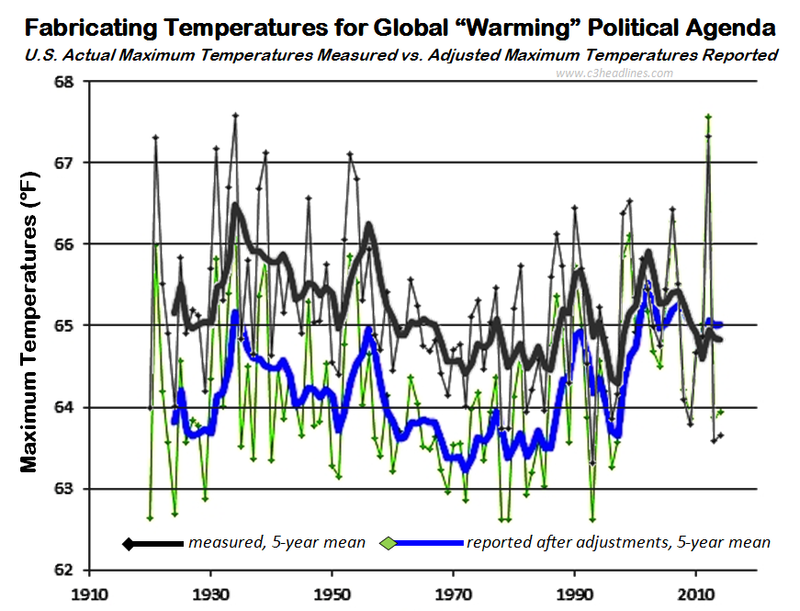 In particular was the influential ‘hockey stick’ graph which was characteristically skewed to support his conclusions. Given such criteria it was obvious what their conclusions had to be or there would be no reason for them to exist. The United Nations obviously had an agenda and told the IPCC what they were to find – full stop! Deniers have been ostracized from day one based on the endorsement of the IPCC report by 90 per cent (or some such number) of the scientific community. But let us bear in mind that even IPCC states that it is ‘extremely likely’ that human emissions have been the cause of global warming. Their claim is that it is 95 per cent certain. Furthermore, the phrases, it is ‘likely’ and ’95 per cent certain’ don’t make it any more than a hypothesis. There is still room for question and it is the responsibility of the scientific community to debate the issue. For the climate alarmists to condemn the deniers is as wrong as to condemn believers in an absolute being. And now, the lack of a rise in temperature since the turn of the century places their research in some doubt. Unfortunately as Bob Dylan says “Money doesn’t talk, it swears.” Money is another source of my concern. As Vivian Crouse has determined through her research most of the money which funds Canadian anti-oil organizations comes from U.S. sources such as the Rockefeller Foundation, Hewlett Foundation, Tides U.S.A. and others. CO2 is as essential to life on Earth as the oxygen we breathe. For without an ample supply of CO2 in the atmosphere plants could not exist. Over the millennia the proportion of CO2 has actually decreased as has the average global temperature. This entire climate change debate needs to be broadened to examine the issue in more detail rather than continually denying the deniers. The carbon cycle and its central role in the creation of life should be promulgated rather than the demonization of CO2, that ‘carbon’ is a ‘pollutant’ that threatens the continuation of life. In fact we need to change our focus and apply our resources to determine how we can comfortably survive as a species under warmer climatic conditions rather than how we can reduce greenhouse gases since the rise in CO2 is an inevitable swing in the millennia old climate change pendulum. This entry was posted in Climate, energy, Environment, science and tagged climate, dr patrick draper, environment, government, IPCC, ken allread, media, politics, science. Bookmark the permalink.